A massive sheet of canvas, perhaps twice your body length, is sprung out beneath your feet, white and pure as the very best of pearls. Your bare feet lightly tap the cool surface, as you eye the multitude of brushes and buckets of paint on your side. You reach for your biggest, thickest brush. It’s a brute, with its ends brittle and nearing its life’s end, and bits of dried paint, in rays of shades and colors, permanently etched within the roots. You run your fingers through the brush, then dunk it into the gleaming bucket of rosy red paint. Passion, you say, goes well with brittle ends. Paint is flung with all directions with the common trajectory being the canvas. You are merciless with some colors, snapping your wrist as streaks of red and black cling to each other. You are much gentler with others, with warm yellows and fresh greens, lightly dabbing the canvas and caressing with due care. Writing is art, and there are many gears to writing. At times, you sit down with coffee, pen and pad in hand, and sketch lightly, pondering and re-pondering with ease. You outline, erase, scribble, erase, re-outline. Your goal is to carefully structure your phrases, re-think your words. I dare compare this mode to the likes of Monet. Not because impressionist works are well-organized and structured, but because they are generally calm and soothing. You struggle with your thoughts, but even the struggles are tame and controlled, methodically transcribing themselves onto paper. On other occasions, writing is war. A thought hits you like a brick, and you must not waste time by pondering sketches. You want to throw what’s in your head onto paper, in its most raw and untamed form. Expressionism, perhaps, best embodies this mode. Anger need not exist. In this mode, provocation is a likely goal in your writing. Emotional angst is often a trigger, often ending in a tirade of lashings with short yet blunt phrases, uncut words. Something is tugging your nerves, and through your pen or keyboard, you hope to tug the nerves of others. 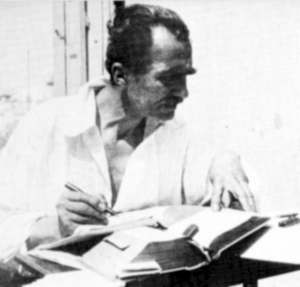 But as stated by Kazantzakis, art is a magic incantation, and writing, and words, are the greatest incantations of them all. Let the words flow freely from all our senses, all our modes, all our gears. Conquer the canvas, devour the vast emptiness. Paint our way through the jungles of our minds and mountains of our thoughts. Hi, after readcing this awesome piece of writing i am too cheerful to share my knowledge here with mates.